Useful chair from the doctor’s waiting room on Hull 488, or the ship better known as ss United States. Over the last few years, I have handled loads of furniture from the ship that was reupholstered towards the end of her life. One of the things I have taken away from examining these pieces is how far things went downhill for US Lines. Rather than reupholster the chairs in a sympathetic fabric, they simply snapped battleship grey vinyl over the offending original coverings during her refits. After all, Newport News Shipyard must have had acres of grey vinyl for their naval contracts. 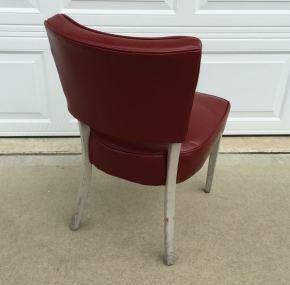 Happily, I picked this chair for you because of its interesting original location and the fact that it was the only one of two in the pile that had not been recovered in grey vinyl. It is still sporting its original covering. Some chipping to the painted legs and scuffs from its time on the ship. This could be fixed, but that’s up to you. 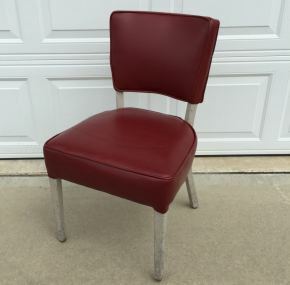 Would be a great desk chair! Now I have a question for you guys about the markings on the bottom of the chair. 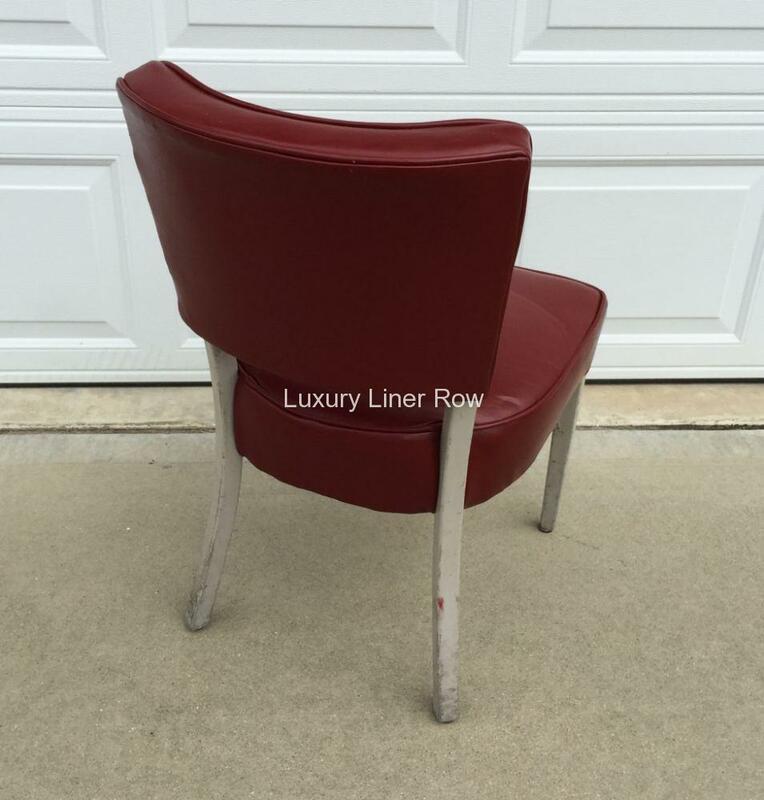 On many, many chairs I have seen from the ss United States, there is frequently a five-digit number on the bottom. 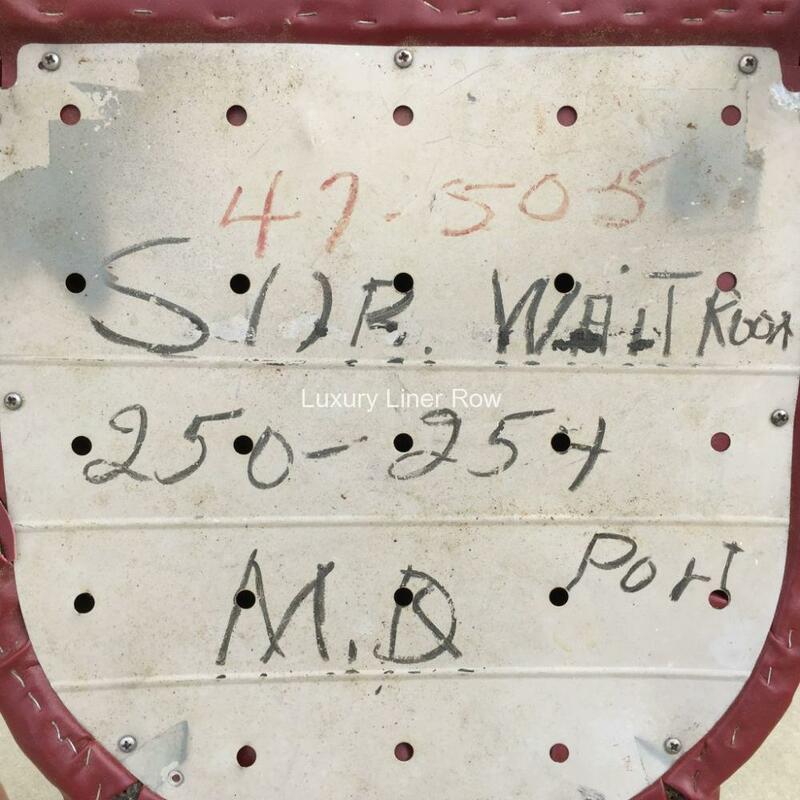 On this chair it is 47-505. Does anyone know what this means?